Ali Salahshoor graduated from high school at the very young age of 16. From there he pursued a two year education in the field of Architecture. Ali always had a lingering passion for the world of hairdressing and discovered that he could implement concepts and theories from architecture school and apply them to haircutting and styling. Thus began the inspiration for his love of hair. Ali listened to his instinct and began his bountiful career as a hair stylist. 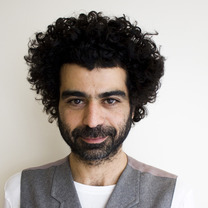 Ali completed his training at Vidal Sassoon where he built his reputation as a gifted hair stylist and soon after successfully ventured onto the roles of Educator and Art Director. Throughout the years, he has had the pleasure of traveling and teaching at Vidal Sassoon’s salons and academies in Los Angeles, Chicago, New York, Toronto, and London. Ali continued to hone his craft while gaining insight and knowledge from his students and fellow hair stylists from all over the globe. In 1995, Ali joined the diPietro Todd family for the next four years. He then moved to India to explore their culture. Upon his return from India, Ali became a proud business owner opening Oud salon. In 2009, Ali decided to return to diPietro Todd and has quickly become one of our salon’s top Stylists and Educator. Ali is an impassioned educator and is known for his gregarious and resonating teaching style. His most rewarding moments as a teacher are when he makes a unique and purposeful connection with his students while watching them grow, learn, and apply themselves through his guidance.